This was a new release on independent vinyl just two years ago, in fact we covered this in part two of our 'New Italian Rock' series in issue #3. Last year Black Widow reissued it as a CD with a couple bonus tracks. Good thing, as the vinyl was a limited run of 666 or some such nonsense, and would have never reached its potential audience. The band – which varies from a basic trio of keys+guitar, drums and vocals, to an expanded lineup including two dedicated vocalists and an additional guitarist – plays a dark and sinister brand of furiously paced rock laced with certain elements of Magma and Zappa. 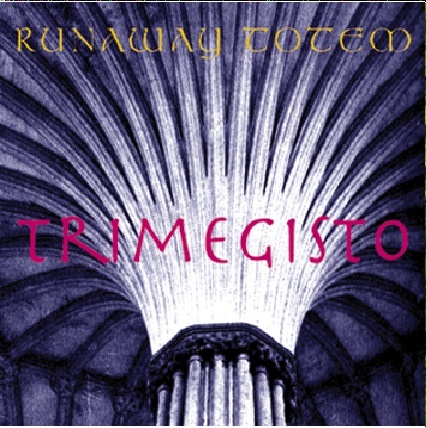 It wouldn't be correct to call Runaway Totem a zeuhl band as such, their own vision is far stronger than the inputs from their influences, but suffice to say if one is adventurous and appreciates bands like Magma and Weidorje, then Trimegisto is a must-have.